These volumes are the first in a series containing works by Erasmus 'that concern literature and education': interests which to him were scarcely separable. The aim of Erasmian education was a civilized life, expressed in Christian piety and the fulfilment of public and private duties and embellished by learning and literature. Towards these ends the soundest training for youth was what Erasmus often called bonne litterae, 'good letters,' a literary and rhetorical training based on Greek and Latin authors. 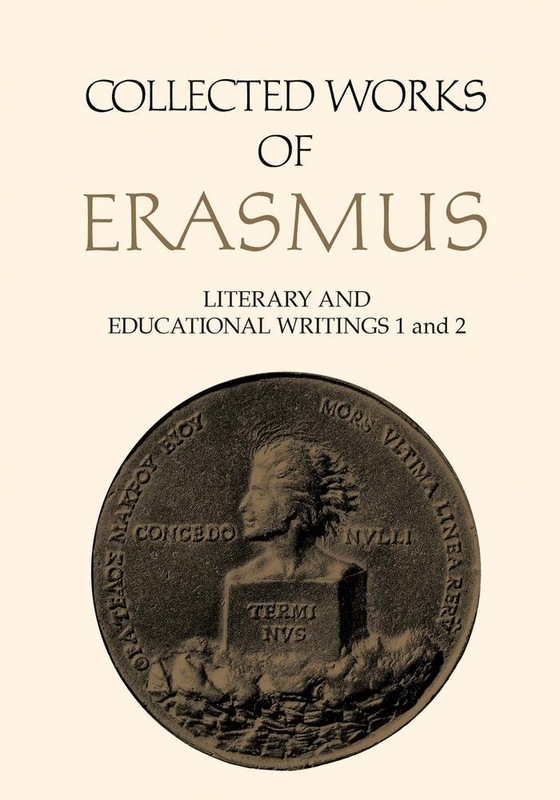 For centuries the classical curriculum was the core of liberal education, and Erasmus was long regarded as its exemplar. Though never a university teacher except briefly at Cambridge (1311-14), he was a 'teacher of teachers' through his treatises on pedagogy and rhetoric and his many works of scholarship. The four works presented here in annotated translations are characteristic expressions of his dedication to learning and his confidence in the values of classical literature for the modern world of his time. Antibarbari (1520), translated and annotated by Margaret Mann Phillips, is a defence of the humanities against ignorant and misguided critics who question both their supposed worth and the appropriateness of pagan writings for Christian pupils. The reply of Erasmus becomes a manifesto on behalf of reason, scholarship, and literature. As for paganism, he insists that if secular knowledge is used properly it cannot harm but must help Christians. 'None of the liberal disciplines is Christian' because they all antedated Christianity, yet they 'all concern Christ' because they can be put to Christian uses. Parabolae (1514), translated and annotated by R.A.B. Mynors, a work that 'contributes eminently to style,' is a collection of similitudes drawn from observations of men, customs, and nature. Many are culled from Plutarch and Seneca, but for those from Seneca, and from Aristotle, the moral applications are added by Erasmus. As an exercise in the rhetoric of moral philosophy - 'many jewels in one small box,' Erasmus terms it-this book quickly became popular and long remained so. De copia (1512), translated and annotated by Betty I. Knott, is not a plan for the entire curriculum but a treatise on the 'abundant' or rich style in writing and speaking Latin, a guide to attaining fluency and variety in discourse. As a manual for students De copia broke new ground. It was a remarkably successful work, used in schools in many lands for generations. From 1312 to 1600, more than 130 printings are recorded. De ratione studii (1312), translated and annotated by Brian McGregor, furnishes a concise but clear exposition of the curriculum, text, and methods of Erasmus' programme for liberal studies in grammar schools. Here as in all of his writings on education, language is the heart of the matter. The main goals are accurate, effective expression and communication in Latin, though Erasmus expects much besides literature to be learned from the study of literature. He emphasizes the necessity for competent and sympathetic teachers. Each translation is introduced by the translator, and a general introduction by the editor discusses the significance of each of the works, its relation to the others, and its subsequent fortunes. Wallace K. Ferguson provides an introductory essay, 'The Works of Erasmus.' Volumes 23 and 24 of the Collected Works of Erasmus series – Two-volume set. Acquista Literary and Educational Writings, 1 and 2 in Epub: dopo aver letto l’ebook Literary and Educational Writings, 1 and 2 di Desiderius Erasmus ti invitiamo a lasciarci una Recensione qui sotto: sarà utile agli utenti che non abbiano ancora letto questo libro e che vogliano avere delle opinioni altrui. L’opinione su di un libro è molto soggettiva e per questo leggere eventuali recensioni negative non ci dovrà frenare dall’acquisto, anzi dovrà spingerci ad acquistare il libro in fretta per poter dire la nostra ed eventualmente smentire quanto commentato da altri, contribuendo ad arricchire più possibile i commenti e dare sempre più spunti di confronto al pubblico online.